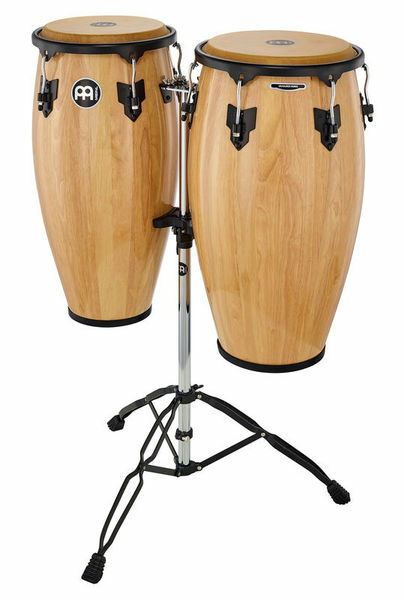 These Congas were larger than I expected, good quality, well made and sturdy. They have a pleasant rich tone. 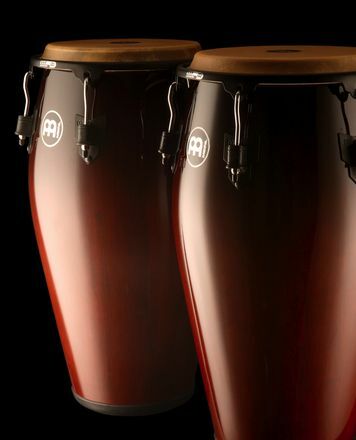 The stand is excellent, strong and with height adjustment, it also has a large rubber stay that the instruments rest in on keeping it all stable and vibration free. They will be quite heavy with the stand but I found this an advantage as they won't move around. I also purchased the gig bags for protection, these are excellent value when you consider the cost of the items they are protecting. ID: 309023 © 1996–2019 Thomann GmbH Thomann loves you, because you rock!